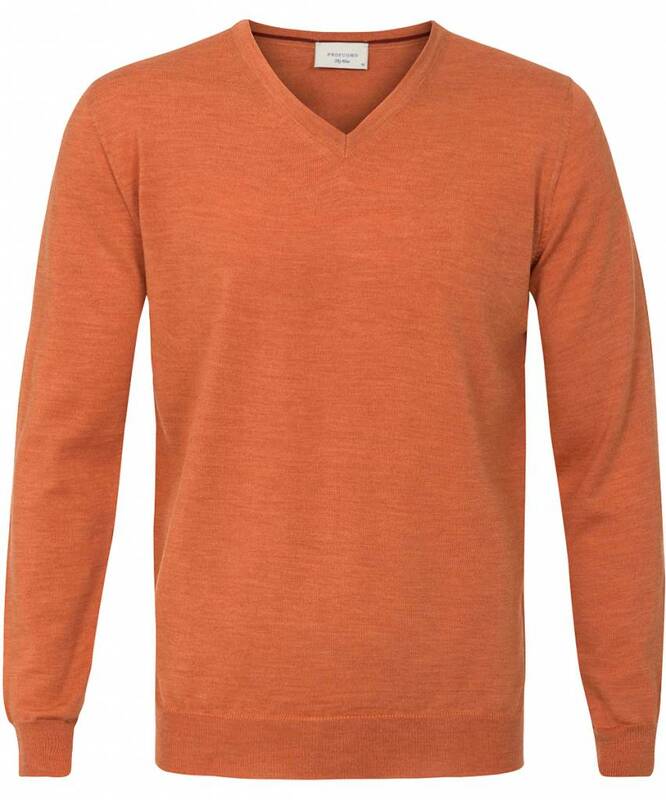 This orange v-neck is a great addition to any man's wardrobe. 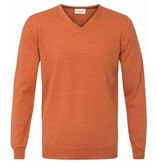 Our fine merino, knitted with the best Italian yarn, looks great in combination with a suit. 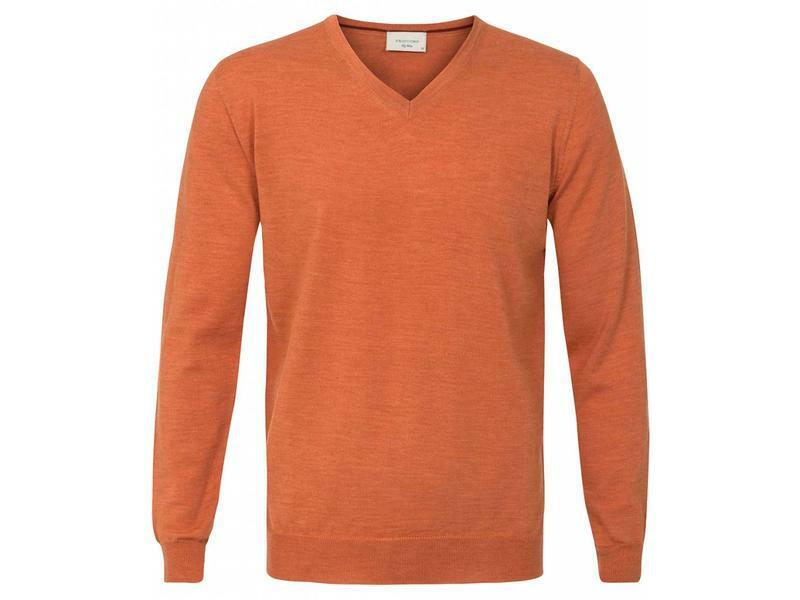 Profuomo's merino is well known for its non-pilling quality.